This handpainted pinecone adds the perfect bit of elegance to a fall or winter event. This design was finished with a chocolate satin ribbon which held the insert cards when the envelope was opened. 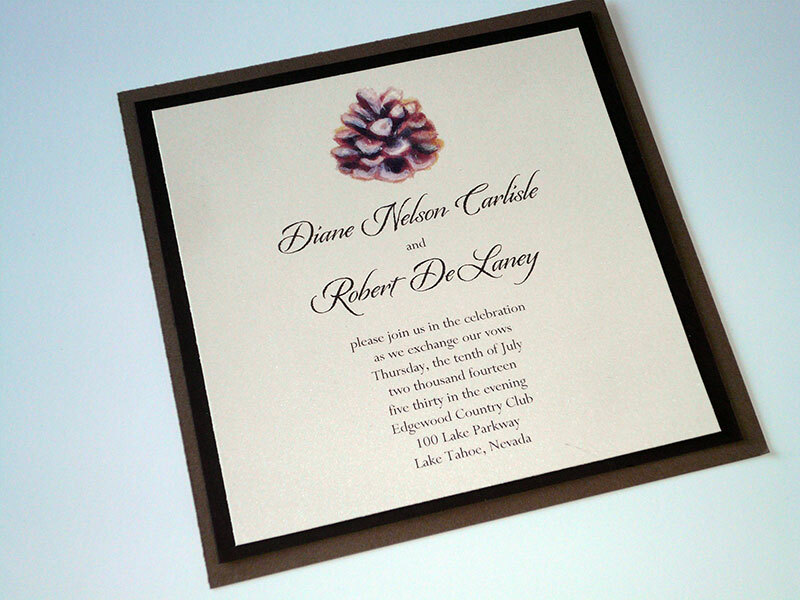 The pinecone is a timeless image that fit perfectly with the wedding at Lake Tahoe.